Do you have extended health benefits through Pacific Blue Cross with coverage for custom orthotic inserts? If so, you may be looking at your Custom Foot Orthotics Claiming Checklist in bewilderment, or worse yet you could be wondering where that checklist even is. No need to fear, here at Vancouver Orthotics we can assist you in submitting your insurance claim form to Pacific Blue Cross. We will make sure you have an original receipt, a copy of the biomechanical assessment, and written confirmation from our lab indicating that the orthotics were fabricated from raw material. And yes, we even have the Pacific Blue Cross Custom Foot Orthotics Claiming Checklist. 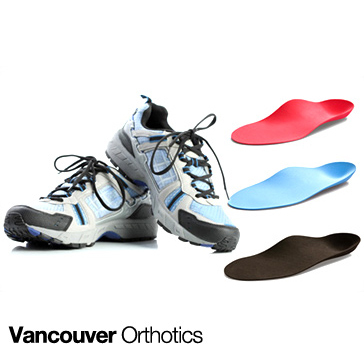 Not sure if you need custom orthotic inserts, but know you have the coverage? Dr. Michael, a licensed chiropractor of over 15 years, can perform an orthotic examination as well as prescribe custom orthotics. If you have coverage through Pacific Blue Cross for custom orthotic inserts, and you have questions, please give us a call today and we’d be happy to help!